Whenever you need a new SSL Certificate for one of your projects, hunting for great deals is always an interesting challenge. With so many brands and products to choose from, finding the balance between cost and efficiency is not always easy. 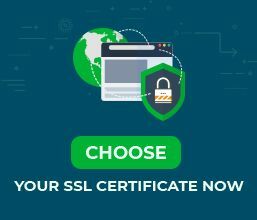 At SSL Dragon, we pride ourselves in offering the cheapest Wildcard SSL Certificates available on the market. Are you looking for the cheapest Wildcard SSL provider right now? We’ve got you covered! Our close partnership with Comodo, one of the most popular Certificate Authorities in the world, allows us to bring you the most competitive prices. Wildcard SSL Certificates are extremely versatile. All you have to do is determine the number of domains you need to secure and the validation type. Let’s take them one by one and see what features they bring to the table. At just $59.99 per year, Comodo PositiveSSL Wildcard is the cheapest Wildcard SSL Certificate currently on sale. It’s a Domain Validation Certificate that secures one main domain and all its subdomains. For such an affordable price, you get the best SSL security standards. In addition, you receive a static site seal which increases the level of trust. Positive SSL Wildcard is issued within 2 to 3 minutes, and no documents are required. Comodo Essential Wildcard SSL has the same specifications and features as the Positive SSL Wildcard. It costs $10 dollars more because it is part of a different product range. Even so, more SSL Dragon customers prefer this SSL Certificate to the PositiveSSL Wildcard one. If you’re looking for a cheap Business Validation Wildcard SSL Certificate, Comodo Premium Wildcard SSL is your perfect solution. Ideal for any online organization, it secures one domain and an unlimited number of subdomains. Unlike the previous Wildcard Certificates, it comes with a dynamic site seal which displays your company’s details when visitors hover the mouse over it. It is issued in 1 to 2 days, after you send information about your company (name, address, and phone number) to the Certificate Authority. If you manage a small network of websites, then Comodo Positive SSL Multi-Domain Wildcard SSL offers the best value for the investment. It secures multiple domains and subdomains. You can read a detailed explanation on how it works in our FAQ section. Multi-Domain Wildcard SSL is perfect for basic websites, small businesses, and organizations. It is Domain Validated and it is issued in less than 5 minutes. In conclusion, these are the cheapest SSL Wildcard options available online today. 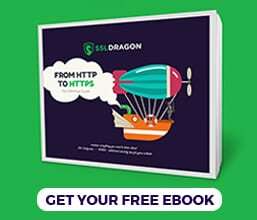 More than that, at SSL Dragon you can reduce their cost even further. You can save up to $120 dollars on certain certificates if you buy their entire 3-year duration. Besides money, you also gain valuable time, because you don’t have to go through the multiple-step process of renewing and reinstalling your SSL Certificate every year.